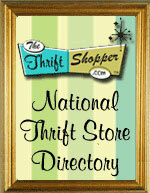 The Thrifty World News page is a full page of thrift store related news from all over the world. Being an RSS feed, it will automatically update itself several times daily. This will create more traffic to your site as visitors return more often to read the news. You have an option to turn this off or on in the control panel.